Good day to all the ladies that love fashion! 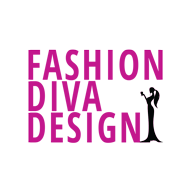 I know that you are always ready to peek into the fashion world and explore all the new things. Since we have the summer coming, it is better to get prepared with some great ideas for outfits that you can rock down the streets. This is the time when we are free to experiment and wear interesting patterns that are meant to make a statement. When life gives you lemons, create a spectacular outfit. 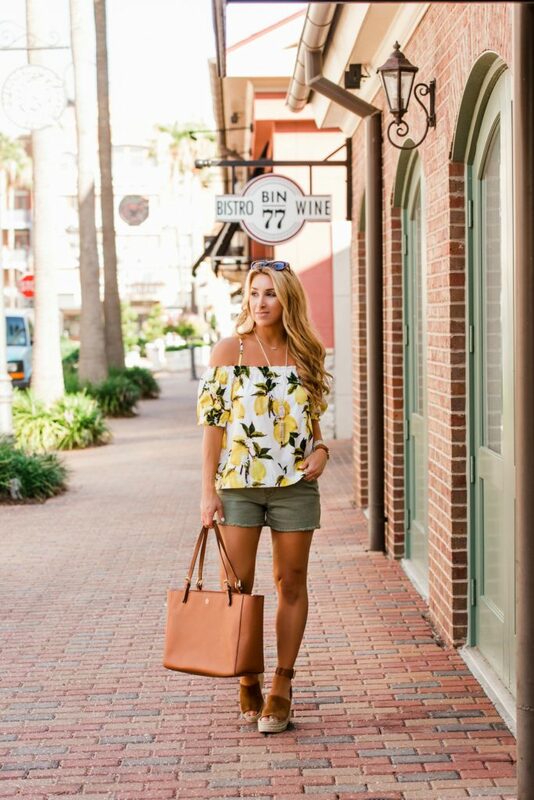 Check these Lemon Print Outfit Ideas and freshen your style for this summer! 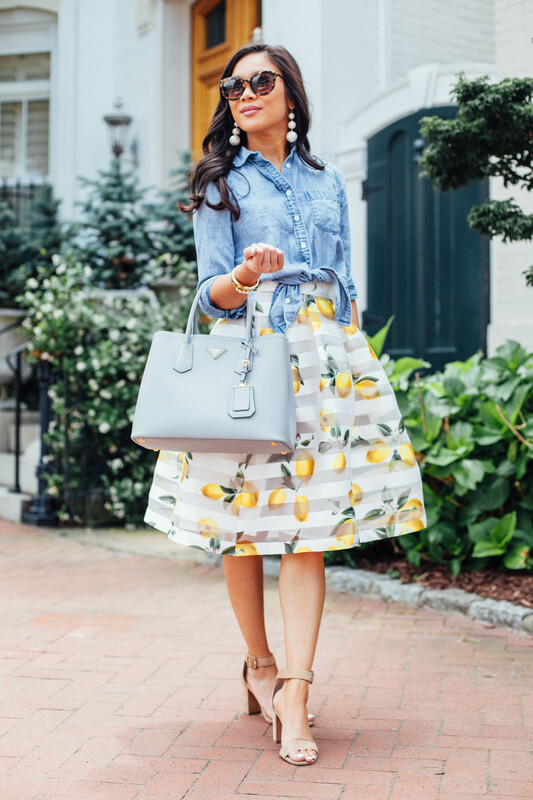 If you have just bought the lemon print skirt that was love on first sight, then we have some great ideas. We know that denim is the thing that goes with anything and everything. A light denim shirt would make an excellent combo with a midi lemon print skirt. You can never go wrong with this one. 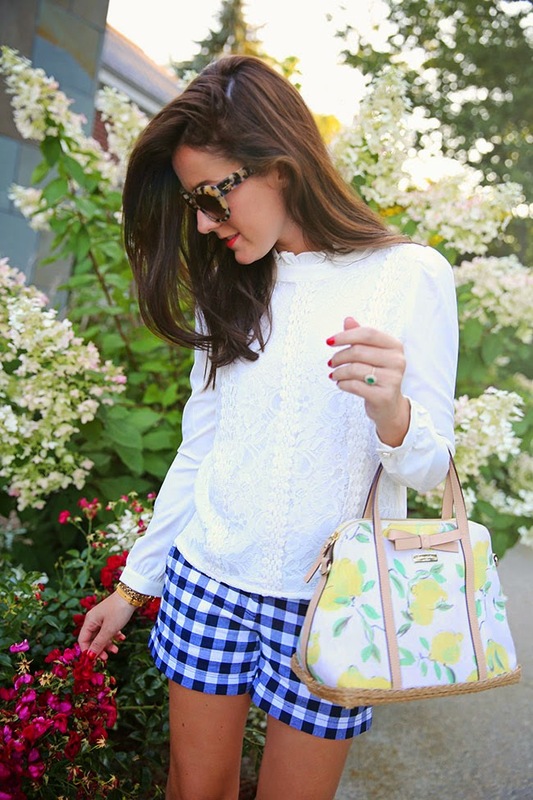 A simple white top will make the printed bottom part stand out. 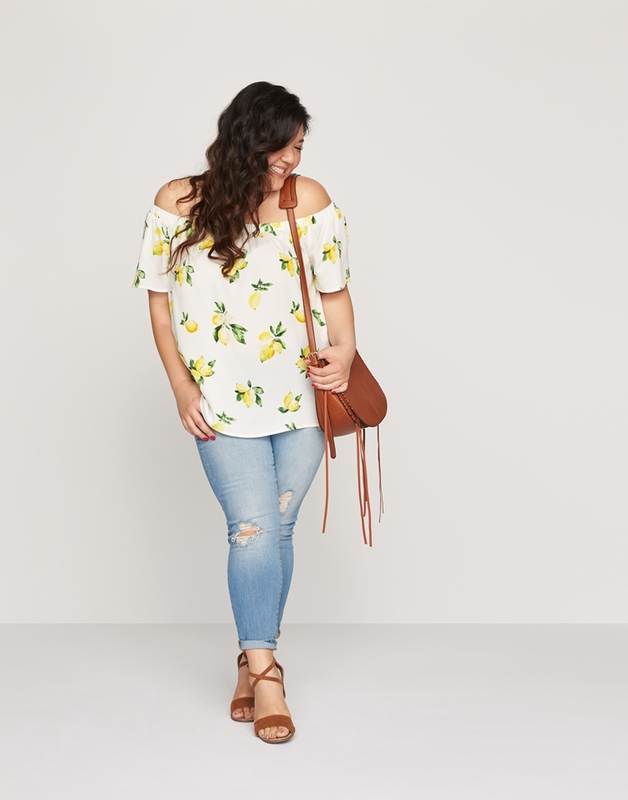 A perfect combo if you want the lemon print to be the star of the show. If you are one of the brave girls that loves to experiment, then you can try a second pattern. 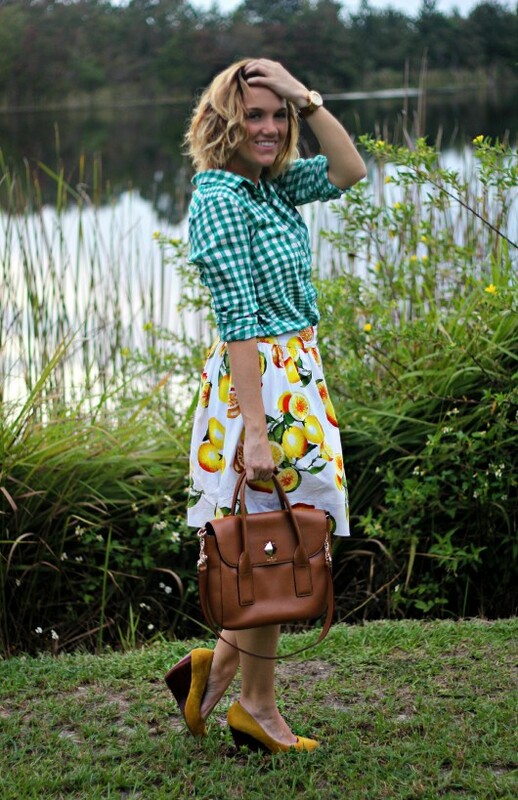 A green pleated shirt will go along a lemon skirt. 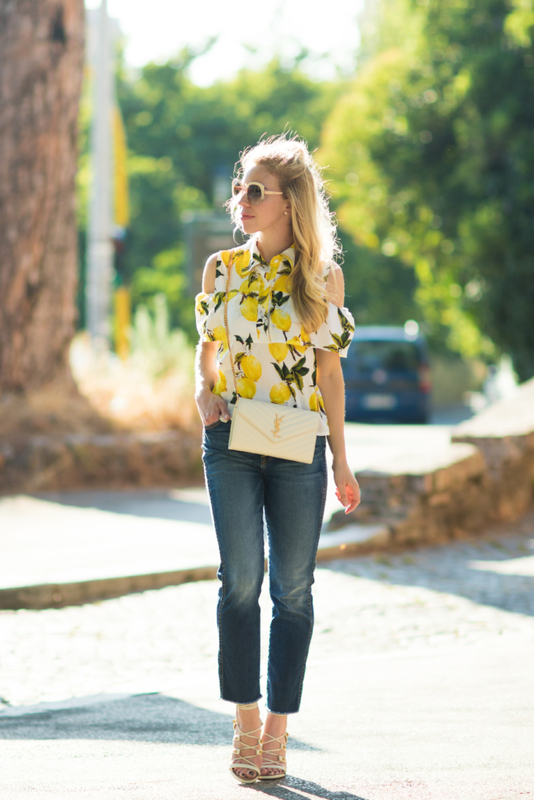 For a relaxed everyday look, combine your lemon shirt with white trousers or jeans. Keep the other accessories minimal for a sleek look. For a stylish street outfit, you can go for slim or boyfriend jeans. When you have an interesting pattern, you are free to combine it with a bold color. As long as it has the color itself. 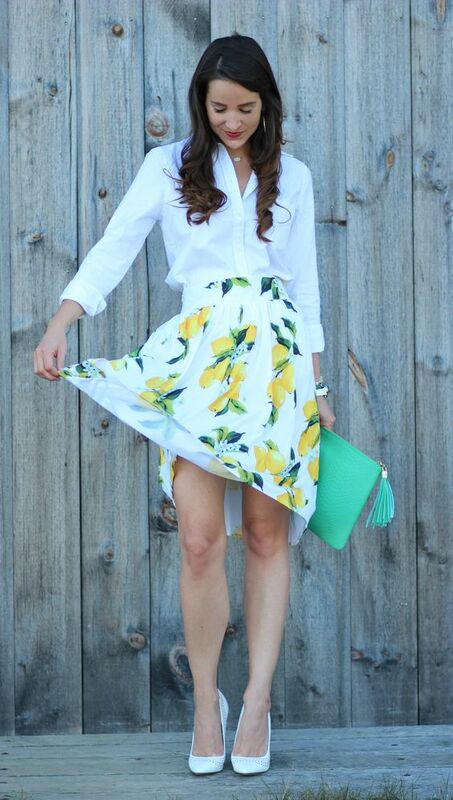 The leaves of the lemons give you the possibility to experiment with a green skirt. Or, a bright yellow one that has a bit of orange in it. For the most effortless outfit, you can choose any neutral shorts that you have. 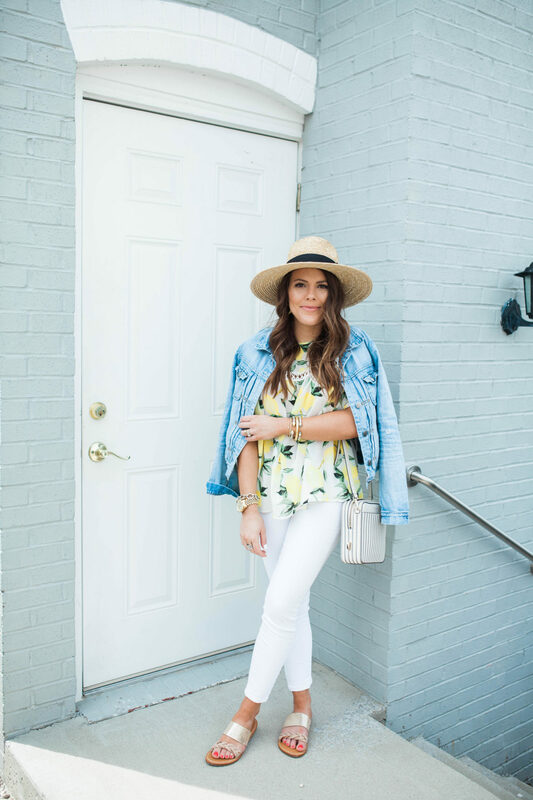 Since the lemon print is starting to become a favorite, why not go for accessories? A cute bag will freshen up any outfit that you have in mind.